1999 Ford Windstar - Problems with pinging, knocking and predetonation. Since owning this Windstar I have found myself scratching my head a few times. First there was the pinging (knock, or predetonation) that seemed to happen on and off but not with any heavy load, but at slower speeds, just driving around. This is very frustrating, and when I searched I found that 1999 Ford Windstars are known for this issue amongst the owners. The other issue I had was the hard shifting into 2nd gear. This again wasn't all the time and I noticed on hotter days it was worse or more often. I am one of those people who like to figure things out, so I kept trying and looking for an answer to these issues. should be looking at the TPS (Throttle Position Sensor.) I learned that this is basically a potentiometer that gives the computer the position of the throttle (or your foot on the gas.) If you test it live - the car in the on position, you can check the voltage and slowly move the throttle. If it is good it will be consistently moving up or down in voltage depending on how you are testing it. If it goes up and down then back up again on your volt meter, then replace the TPS. Check it when it is hot for best testing results, since heat adds to resistance especially in warn electronics. If the TPS hasn't been changed in 50,000 miles, then chances are high it needs to be replaced. Something else to do in any car is clean the MAF. Usually a fairly simple thing to do, but you need to get some MAF cleaner or some people use electrical part cleaner to do the job. 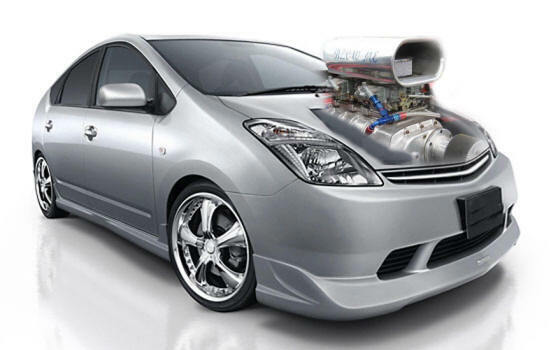 This will help make sure your car reads correctly the air flow. This picture below shows the air filter case. 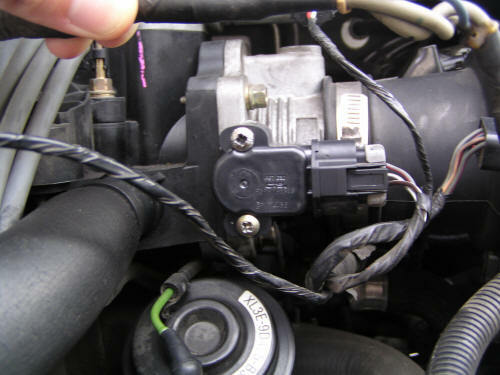 The center piece, when removed is the location of the MAF sensor.